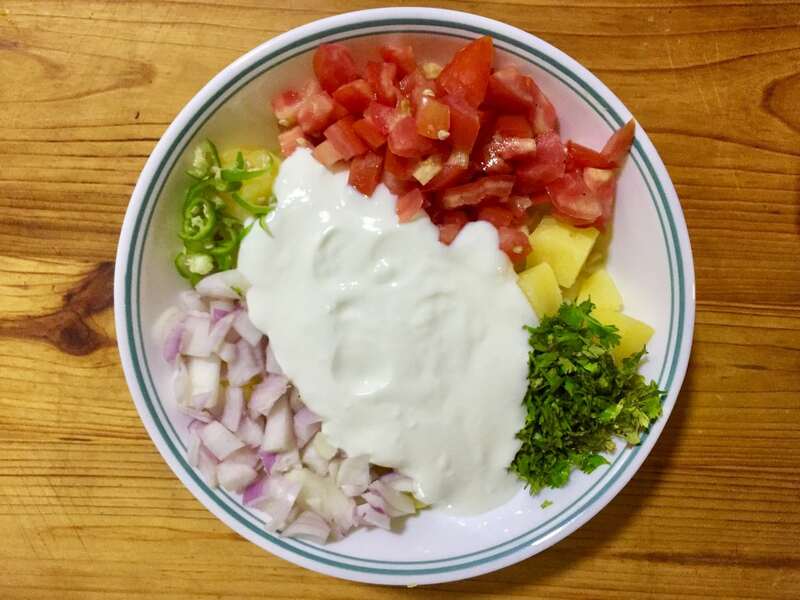 Step by step recipe of Aloo ka Raita recipe|Potato Yogurt Salad with photos. Summers are time when you want to stay away from kitchen. The heat of stove and lengthy cooking hours could be burdensome. On those days Potato yogurt Salad or Aaloo ka raita can make an easy and complete lunch salad. Enjoy this filling salad on a hot day. Or have as tasty snack. In a large bowl keep all ingredient. Mix well right before serving. Boiled channa can also be added. Potato raita cab be served with polao, biryani and other rice dishes. Boil Potato with salt. Poke knife to check tenderness. When knife slips easily in the middle of potato, they are cooked. Drain water and let the potato get cool naturally. 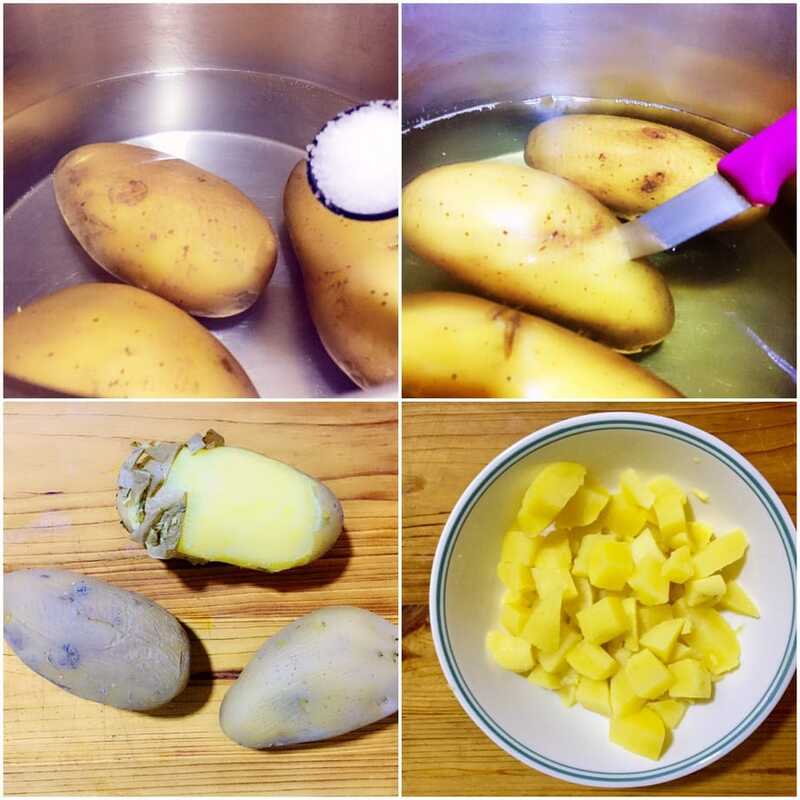 Peel skin and cut potato into large chunks. Roast cumin and pepper in a fry pan for 1-2 minutes on medium heat. 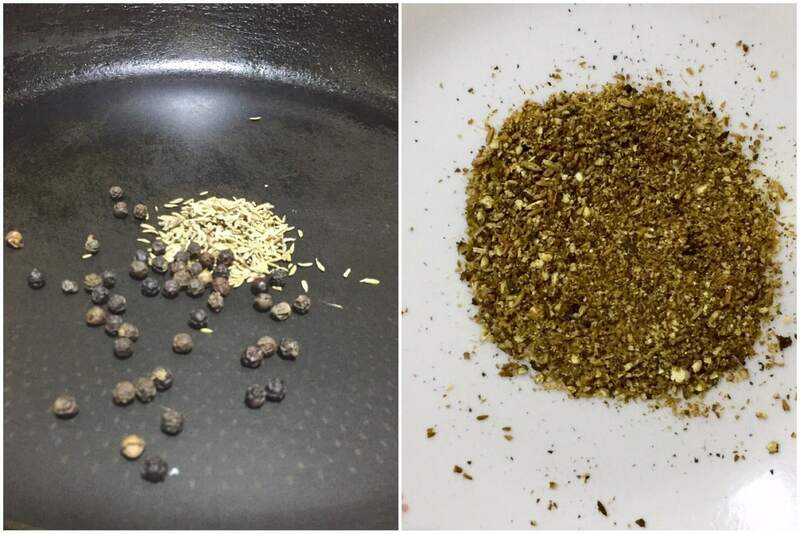 Stir until cumin turns darker. Transfer cumin and pepper to a plate. Let cool. Then ground into a fine powder. Place all ingredients in a bowl. Keep the bowl in fridge or at a cool place. Just before serving mix all ingredients.